Traditionally, the polo shirt is associated with being casual wear, but the beauty of the polo shirt is that it can be dressed down or up! Dressing it up is quite easy, simply slip on a suit blazer on top of your polo as a replacement for the dress shirt. Just keep it sensible, opt for neutral solid colours rather than patterned styles and bright hues. Tucking your shirt in is optional, although not having it tucked in can make it look a touch more laid back. Remember to make sure you visit the tailor to ensure your suit blazer and trousers are the perfect fit for you! 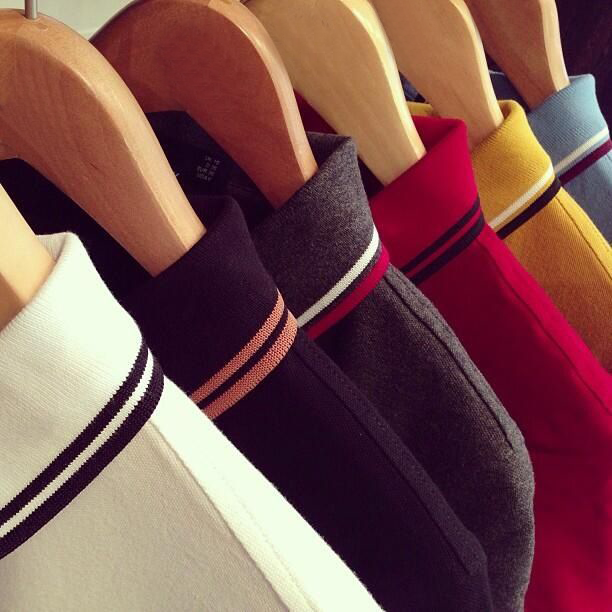 Did we mention how versatile the polo shirt is? If you need to look good but not serious, team the polo shirt up with a sports jacket, neutral colours are still best; think beige, grey and black and some straight cut trousers and you’re good to go. You can add some light colours with your polo shirt or subtle patterns. Accessorise with a classic timepiece on your wrist to breathe some life into your look. Need to go meet a friend for a quick lunch or grab some groceries? The polo shirt is perfect for those quick runs you need to make during the day. Just slip on the shirt with some straight cut black jeans or beige chinos – add a splash of colour to your look by opting for a blue or orange polo shirt, particularly during the warmer weekends.